Joan DeJean is the author of the new book The Queen's Embroiderer: A True Story of Paris, Lovers, Swindlers, and the First Stock Market Crisis. 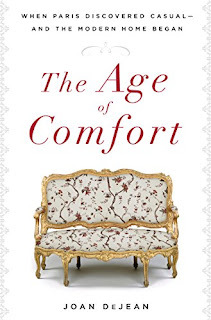 Her other books include How Paris Became Paris and The Age of Comfort. She is Trustee Professor at the University of Pennsylvania, and she lives in Philadelphia. 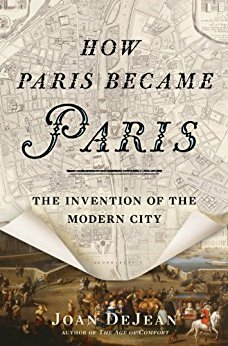 Q: How did you learn about the story of the Magoulet and Chevrot families, and at what point did you decide you’d write a book about them? A: I began one day—I was doing something that I thought would be a tiny project on the first luxury shops in Paris. I went to the archives—I imagined it would be an afternoon. Instead, I found two documents. The first was [Jean Magoulet’s] appointment as Royal Embroiderer, and then the second was a woman’s name, with the same last name. The woman with the same last name was shipped to Louisiana in 1719. That meant she was declared undesirable. I found a police file on the young women’s address and deportation, so the outline of the story was there. It was incredible that the daughter of such a high-ranking person would end up like this. I knew [the story] would be wonderful, but it seemed so hard. I walked away. The next time I showed up at the front desk [of the archives, a woman who worked there] said, What are you doing? I said, I’m leaving it. She said, You can’t! I knew how hard it would be. But I couldn’t fight the young woman and the story. In the end, I had luck at key moments. I always thought there would be more [material], but there was so much about every key moment and player. Q: So what did you learn that especially surprised you? A: The key moment was that I learned the man shipping his daughter off was recreating his childhood. He was shipped to St. Croix when he was a boy. What I learned about behavior when the stock market is surging [as was the case during the time of the Magoulets] might be repeated today—the desire to make a quick dollar, and let nothing stand in the way. This took place almost exactly three centuries ago. It makes me nervous. 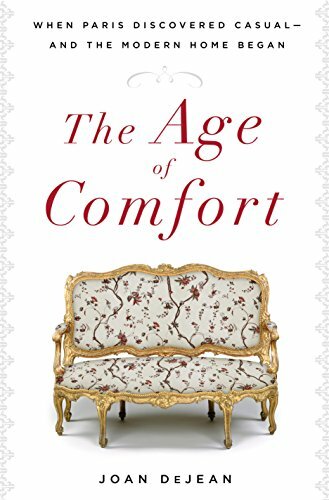 Q: What does Louise Magoulet’s story say about the role of women in France during this time period? A: I think that Louise Magoulet is a heroine for our times. Just as so many of the women now coming forward must have believed that their status would protect them from abuse, Louise surely thought that her family name and position, not to mention the law, would have guaranteed that she would never find herself the victim that she became. There were good and bad aspects [to the French law of the time]. It hurt her in the end, but French law did protect women. People in England were amazed I could learn so much about women’s property [in France]. But their rights could be abused by their fathers. Women kept their own names, so I could tell in the records who it was. Women were investors in the stock market, women were running high-end shops. This was not the case in other countries. There was a positive [aspect] to women’s roles in French society. But the bad [involved] what happened to this family during the first stock market bubble. I wondered if this could have happened to anyone in this situation. It was such a spectacular bubble. Everyone was [following it]. 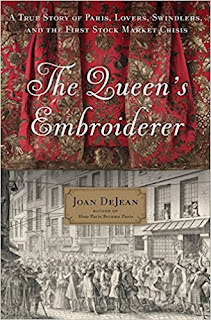 Q: What did the job of the Queen’s Embroiderer entail, and what place did he hold in society? A: The job was very complex but very specific. He would create designs for anything the Queen wanted embroidered—from clothing to objects. Embroidery for the very wealthy was everywhere in their homes. It was a real status marker. The Embroiderer had much more status than the person who makes the clothing. He would be a brilliant designer, and probably rarely embroidered himself. He ran a workshop. Originality in design was everything. They made fortunes. The work was so costly. Their income determined social status. We think we know who the artists were—the Embroiderer was in the highest rank because his work was so visible. He was paid more than almost any artist. He dressed almost indistinguishably from a nobleman. A: I could never forget the women who were shipped off to Louisiana. There were 209 women declared unfit. I’m working on the other 208. None had a life like [Louise’s], but they are complex stories. I’m finding out who they were, what they were accused of, and what became of them in the New World. A: This is a complicated book. For me, the long-term view of family is important. Despite the horrible destiny of the two fathers, almost all their children and grandchildren were survivors. The whole arc of the family is remarkable. Families’ destinies are complex things. --Interview with Deborah Kalb. 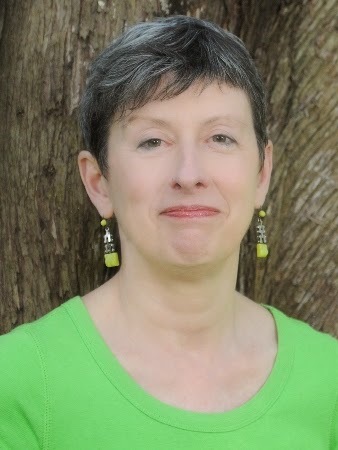 Here's a previous Q&A with Joan DeJean.